Looking for ways to get hold of a raffle ticket? 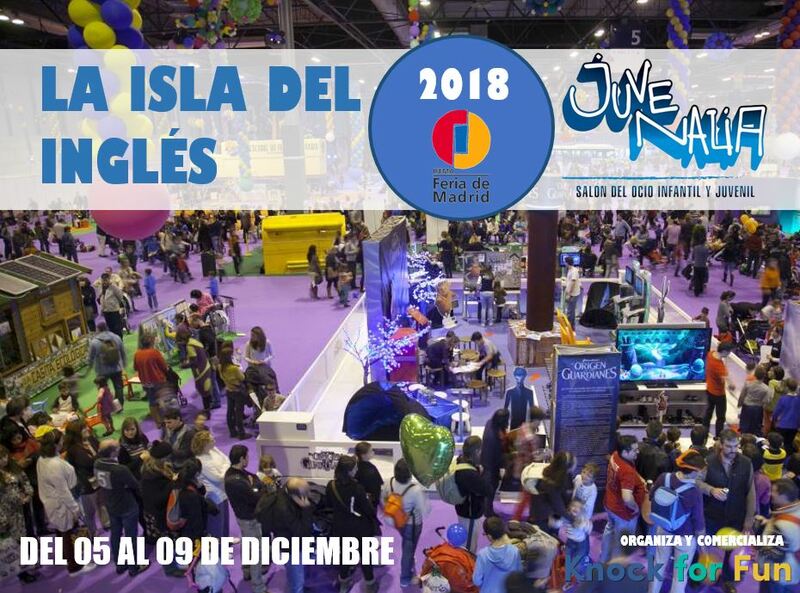 Come along to La Isla del Inglés at Juvenalia (Hall 14C01) to purchase your lucky ticket from our friends at Knock for Fun. You never know, yours might be the winning ticket for Lego Mindstorms, a Virtual Reality headset, a home science kit, a Christmas hamper full of goodies donated by Taste of America, a board game donated by Famosa, theatre tickets donated by Face2Face, a week at an English summer camp in July 2019 donated by Kids English Club or Spanish classes donated by AIL.